My personality type has been described as a "Harmonizer Clarifier" which I think is pretty darn accurate. I find great comfort in knowing that I fall into a "type." It helps to better understand myself and to clarify those quirks of mine. 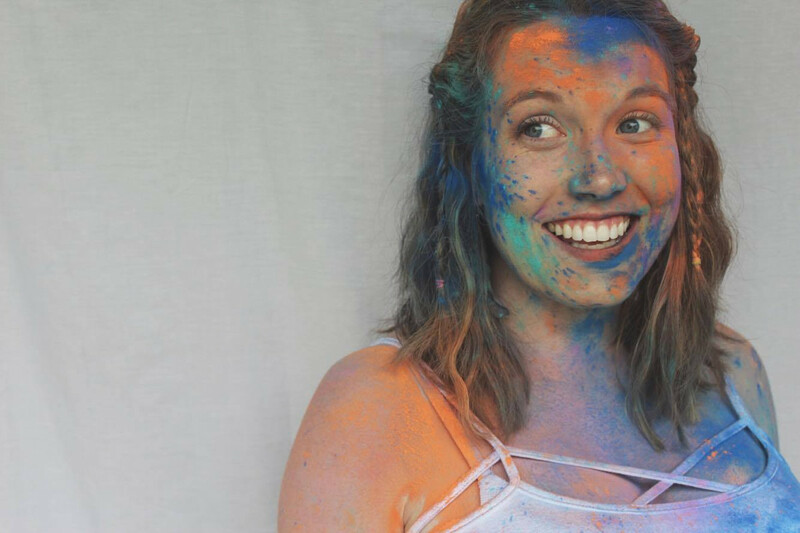 INFP's have been described as people who, "never lose their sense of wonder," "see good in almost anyone," "struggle with issues of own ethical perfection" and strive in areas of writing, humanities and psychology. Oh, and we avoid conflict at all costs. Although, we may be introverted, the INFP wants to help humankind. I admit, although I have always been intellectual and bookwormish, I can also be very absentminded, or put more bluntly- lacking common sense. I have been described by my friends and family as someone free-spirited and whimsical. I enjoy acting childish and think even at 80, I will never have lost my childlike sense of wonder with the beauty of the world. This is also something Chuck and I have in common and is one of the main reasons I think we're so compatible. I think my heart breaks more than the average person about the brokenness of the world. I tend to carry the weight of the world on my shoulders and feel myself to be personally responsible for helping to make the world a better place. I find great relief in knowing that I'm an INFP. I am often timid and unsure in social situations. The thought of conflict of any kind gives me panic attacks and I strive to live harmoniously at any cost. But I think I'm a pretty decent person the majority of the time. I work hard, am constantly trying to better myself and genuinely want to leave this world a better place than when I entered it. I am INFP and proud of it, baby! 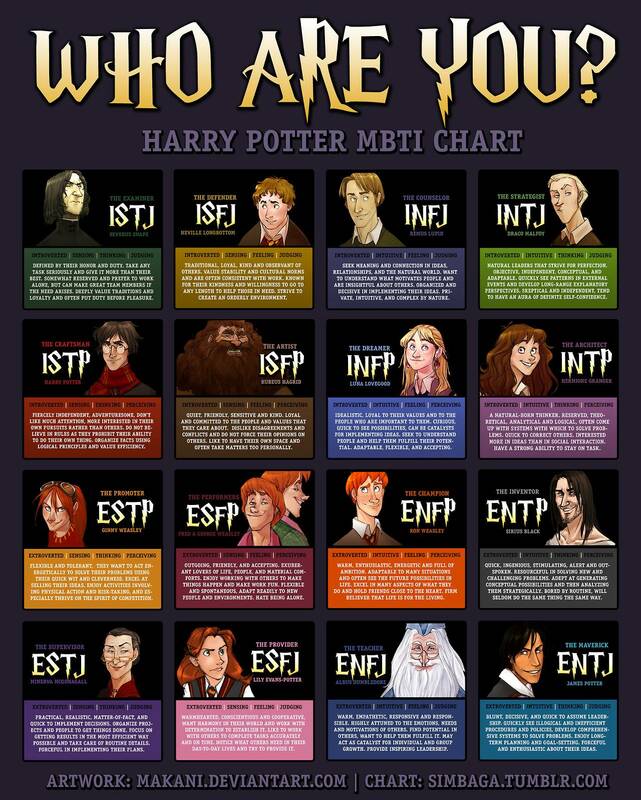 Oh, and according to this chart- I'm also Luna Lovegood. 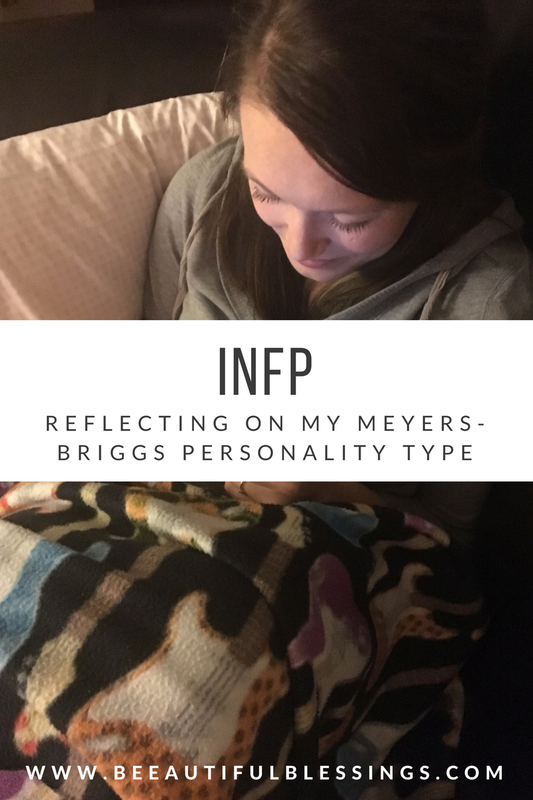 Have you taken the Meyers-Briggs test? What was your result? i've done it before and i'm pretty sure i was isfj.